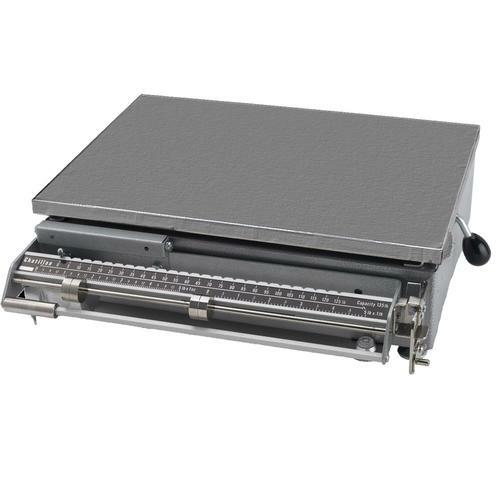 The CHATILLON� PBB Series portable bench beam scales are ideal for laboratory, industrial, educational or commercial use. Constructed of steel and cast aluminum, PBB scales feature adjustable, hardened-steel pivots and self-aligning steel bearings for lasting accuracy. Built-in platform and steel locking mechanisms help ensure safe and secure operation and transportability. Models are available in metric and avoirdupois units of measure with mirrored balance indicators and easy-to-read graduations. Avoirdupois models may be read in either ounce or decimal pounds. An additional sliding poise permits blank taring up to 10 lbs. Metric models have a 2 kg tare capability on a secondary poise.